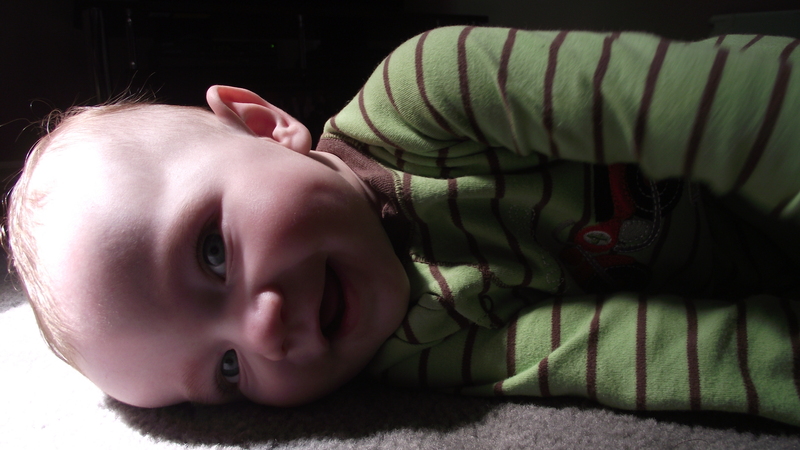 Aiden likes to roll now. 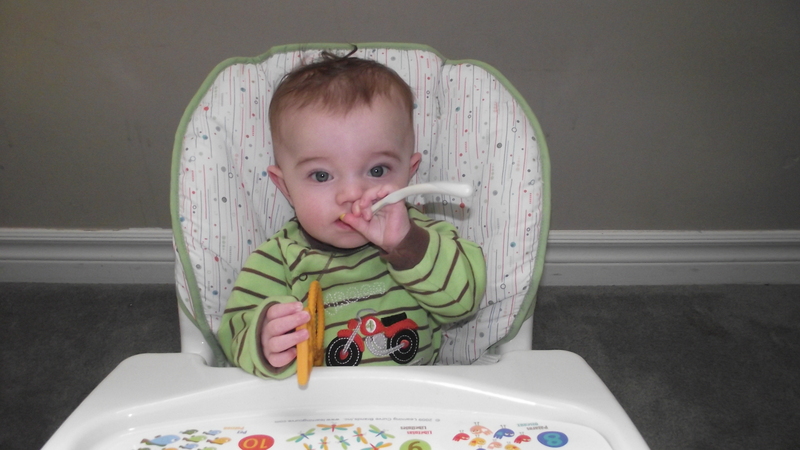 And he likes his vanilla sophie, and his spoon. 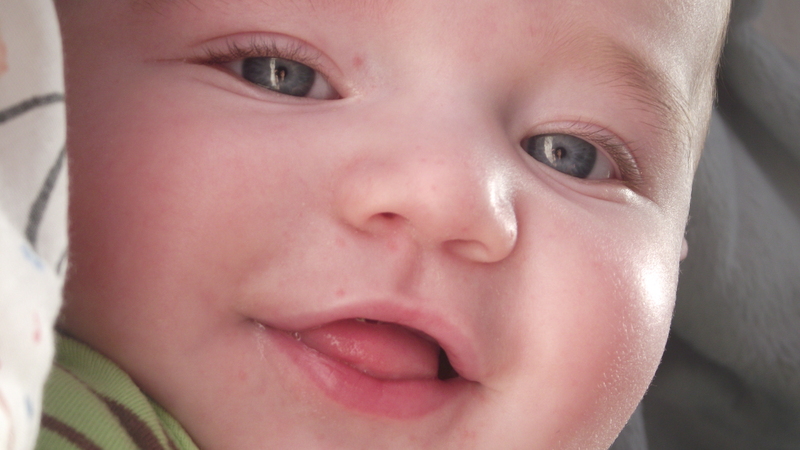 Daddy takes fancy up-close pictures of Aiden. We went to the pediatrician a couple of days ago. 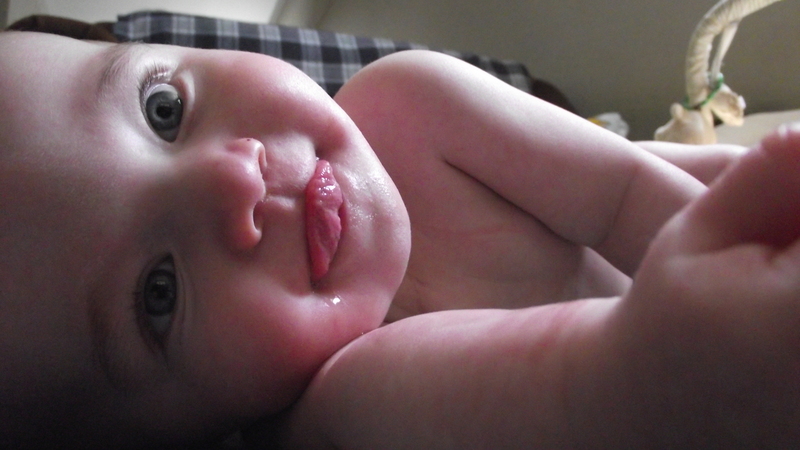 Aiden weighs 15lbs, 1oz, and is 66cm (26in). 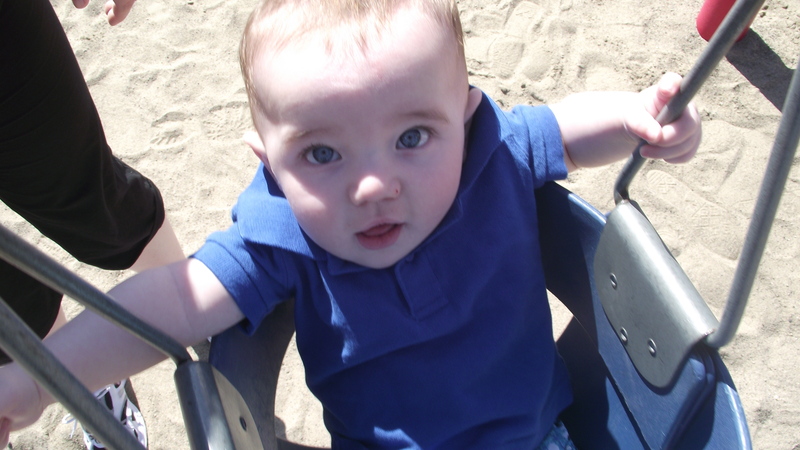 He’s grown to the 10th percentile in height, but is still “tiny” for weight. She isn’t concerned though, because A) he’s still trying to re-gain what he lost while he was sick, and B) he’s tiny, so it’s to be expected that he is small. She’s given us the OK to wean his ranitidine, so he’s on half of what he was, and in a few weeks, provided he doesn’t show any signs of the reflux, he won’t have to take that anymore, and all he’ll be on is the vitamins.